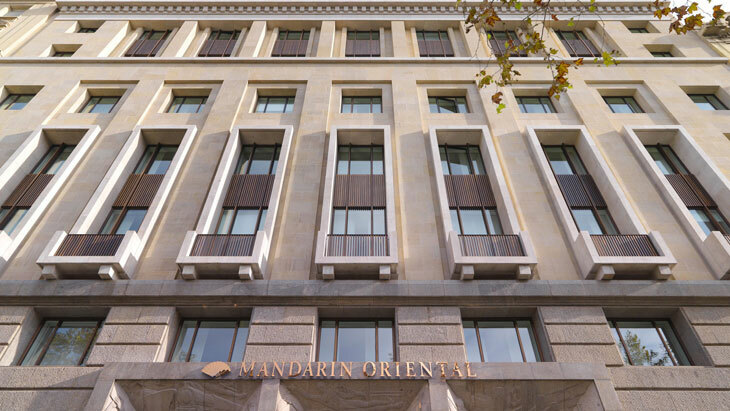 Barcelona is both impulsive and highly stylish – a combination that is precisely reflected by the new luxury hotel Mandarin Oriental. Located on a magnificent boulevard just minutes from the Ramblas, the architecture is impressively modern. The interior of the splendid building on the Passeig de Gràcia, which dates back to around 1950 and was formerly a bank, has been completely renovated – the roof terrace now even boasts a narrow pool. In the 98 rooms and suites, as well as in the hallways and restaurants, stylish charm fuses with exciting design. Responsible for this is the well-known Spanish designer Patricia Urquiola, who has also created designs for Axor. In the bathrooms, she chose faucets from her own bathroom collection Axor Urquiola: the fresh, unusual shape perfectly complements the other minimalist bathroom objects and the homeliness of the room.